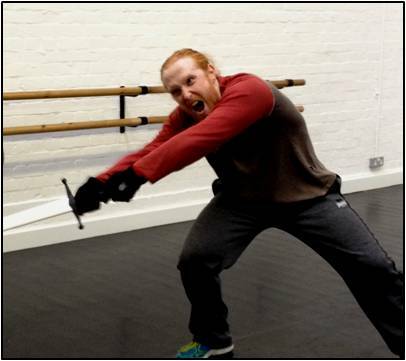 FIGHTING FLING WORKSHOP | Captivate Action Ltd.
A full day of throwing yourself into dramatic fighting for theatre, motion capture and film! 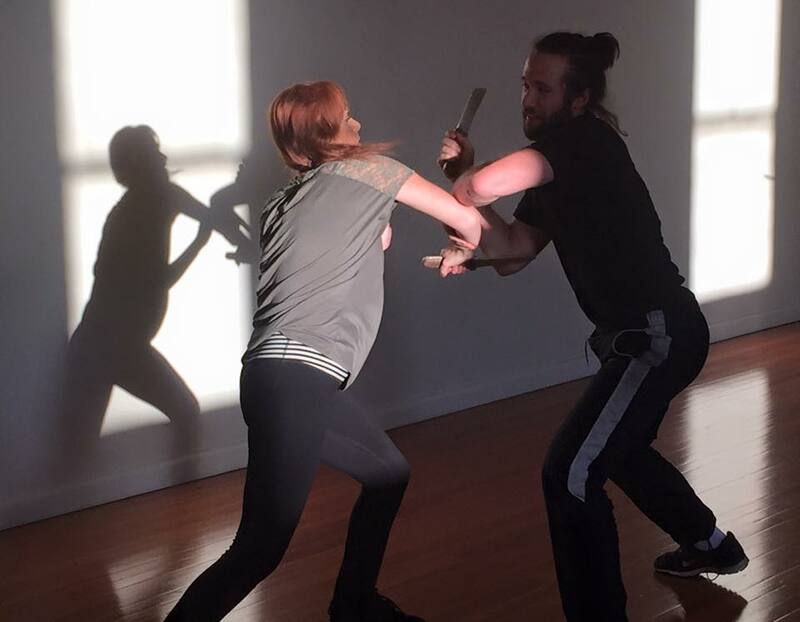 Dramatic Fight Professional Lyndall Grant invites you to an industry-focused day in performing dramatic violence for stage and screen –the technical, the artistic, the performance, and of course the fun! 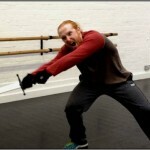 We will be covering a nice selection of fighting styles with both unarmed fighting and weaponry. Our focus will be how you can tell a story through the action and bring out the dramatic moments in a scene. While learning the techniques of illusion, we will also look at how you can quickly access truth, character and intention to heighten the reality and dramatic impact of the action. Yes, sometimes fighting with a knife calls for us to be military experts. This is not that time. 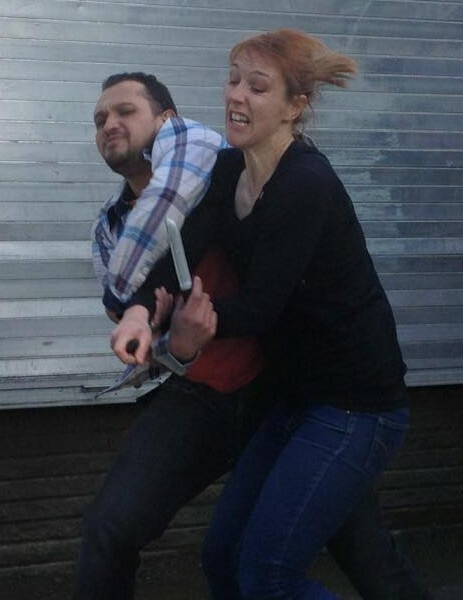 In this session, we will be looking at fighting in one of the most frequently-requested styles in today’s film and theatre – ogranic, gritty, visceral, mean. It could be a knife. It could be scissors. It could be a fork. However, you pick it up with the intent to kill (warning – this workshop is not for the faint-hearted). We hear so often: acting is reacting. But how do you do that in a fight scene? How can we reach that stage of being ‘in the moment’ while working with a physical dialogue? How can we ‘let go’ and respond? 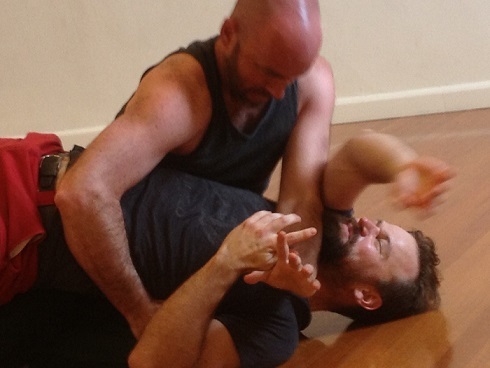 This workshop will explore ways of finding that release and response with unarmed combat, so that you can fight with truth but still safety. For this workshop, we will be working with the fights which are the ‘Big Production Moments’ – the photos which will end up promo material. There will be broadsword. It will be flashy. It will be epic. The course will cater to all levels of experience. We also cater to all levels of physical fitness and abilities – although of course the more in-shape you are, the more you can get out of the workshop! Please let us know of any medical conditions or injuries which may affect your participation so that we can accommodate you on the day. Simply fill out the online registration form, and we will reply shortly after with your confirmation and payment details. Our last two workshops sold out, and we’re predicting this one to be similar, so do get your registration in ASAP!